Ra (pronounced as Rah, and sometimes as Ray) is an ancient Egyptian sun god. By the fifth dynasty he became a major deity in ancient Egyptian religion, identified primarily with the mid-day sun, with other deities representing other positions of the sun. Ra changed greatly over time and in one form or another, much later he was said to represent the sun at all times of the day. Ra should be pronounced as ‘rei’; hence the alternative spelling Re rather than Ra. The meaning of Ra’s name is uncertain, but it is thought if not a word for ‘sun’ it may be a variant of or linked to ‘creative’. As his cult arose in the Egyptian pantheon, Ra often replaced Atum as the father, grandfather, and great-grandfather of the deities of the Ennead, and became a creator of the world. Ra was an incredibly powerful and important central god of the Egyptian pantheon. His believers considered him to be the god who created everything. He was worshiped more than any other god by the ancient Egyptians. Ra represents sunlight, warmth and growth. It was only natural that the ancient Egyptians would believe him to be the creator of the world, as well as part of him being represented in every other god. The ancient Egyptians believed that every god should illustrate some aspect of him, while Ra himself should also represent every god. Ra created himself from the primordial chaos. He is also known as Re and Atum. His children are Shu, the God of Dry Air and Father of the Sky, and his twin sister Tefnut, the Goddess of Moisture and Wetness. Humans were created from Ra’s tears. He is the source of all light and life, destroyer of darkness, night, wickedness, evil. Creator of Heaven, Earth, and the Underworld. Eternal god without end. God of all agriculture, the Sun, magick, prosperity, spells, rituals, destiny, right, and truth. 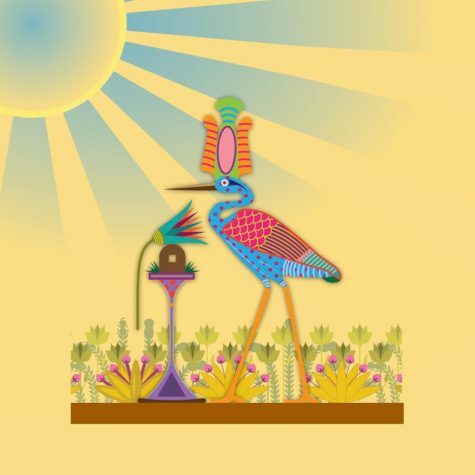 As the sun pierces your consciousness and you struggle through those dog days of summer, it becomes easy to understand the ancient Egyptian respect for the Sun God. Pay tribute to Ra for his blessings in the way he likes best. In ancient Egypt, myrrh was burned at high noon to please him. I honor and praise you for all that you’ve done. The ancient Egyptians revered Ra as the god who created everything. Also known as the Sun God, Ra was a powerful deity and a central god of the Egyptian pantheon. The ancient Egyptians worshiped Ra more than any other god and pharaohs often connected themselves with Ra in their efforts to be seen as the earthly embodiment of the Sun God. 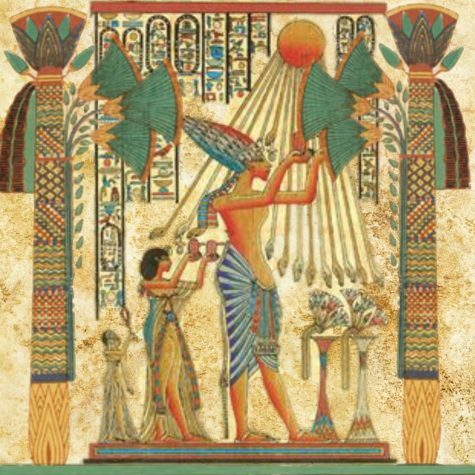 For the Egyptians, the sun represented light, warmth, and growth. This made sun deities very important to Egyptians, and it is no coincidence that the sun came to be the ruler of all. 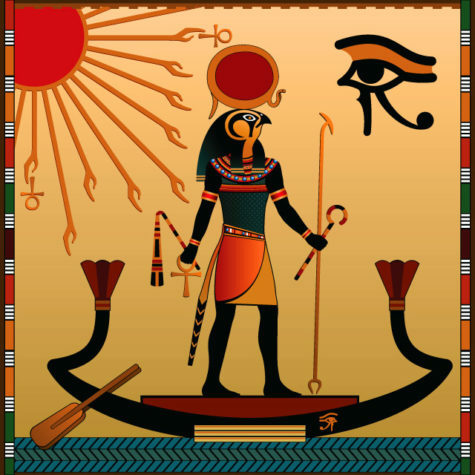 In his myths, the sun was either seen as the body or Eye of Ra. 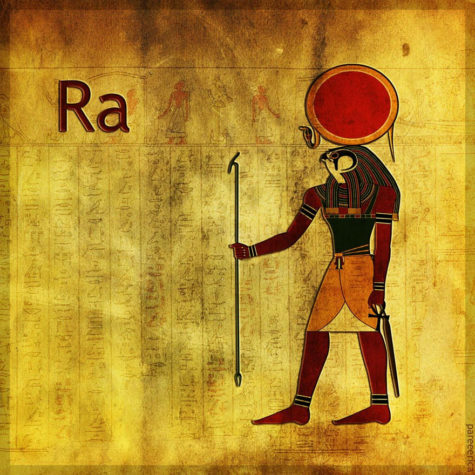 In artwork Ra primarily is depicted as a man wearing a pharaoh’s crown (a sign of his leadership of the deities) and the sun disk, or Wadjet sun disk above his head. The sun disk that surrounded his head symbolizes what the god represents, including sunlight, warmth and growth. As he was the god of creation, the sun disk represents the light and energy needed for life. 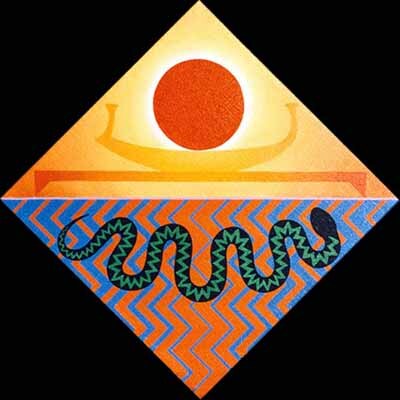 The Wadjet sun disk, is a sun disk with a cobra wrapped around it. Called the Wadjet sun disk because the goddess Wadjet, was depicted as an Egyptian cobra, an animal thought only to be female and reproducing through parthenogenesis. It is also shown as the hieroglyphic Ankh, symbolizing the life given by the sun. Some traditions relate that the first Wadjet was created by the goddess Isis who formed it from the dust of the earth and the spittle of Atum. The uraeus was the instrument with which Isis gained the throne of Egypt for her husband Osiris. As the sun, Ra was thought to see everything. Present in the ancient Egyptian mythology is the Eye of Ra, shown as the sun disk with two ‘uraeus’ cobras coiled around it, next to the white and red crowns of Upper and Lower Egypt. Initially associated with Horus (similarly to the Wadjet, the Eye of Horus), the Eye of Ra shifted positions in the myths, becoming both an extension of Ra’s power and a separate entity altogether. He was associated with the falcon, the symbol of other sun deities who protected the pharaohs in later myths. Ra shared many of his symbols with other solar deities, in particular Horus, usually depicted as a falcon. After the deities were paired with pharaohs, the children of Hathor were considered to be fathered by Ra. The Tree of Life is an important religious symbol to the Egyptians. The Tree of Life was located within Ra’s sun temple in Heliopolis and was considered sacred. The fruit that sprang from this tree was not available to humans, but only in aging-rituals reserved for pharaohs. The Tree of Life is also referred to as the mythical, sacred Ished tree. Eternal life came to those who ate the fruit from the Tree of Life. Another important ancient Egyptian symbol connected to Ra is the “Bennu.” The Bennu bird is Ra’s ba and a symbol of fire and rebirth. Bennu is the name of the bird that represented Ra’s soul. This bird is a phoenix and it was seated at the Tree of Life in Ra’s Sun Temple in Heliopolis. Inside the temple, on top of an obelisk, sat the Benben Stone. This pyramid-shaped stone served as a beacon to Bennu and is also an important ancient Egyptian religious symbol. Sometimes, Ra is depicted as a phoenix, showing the connection between the two. Ra was thought to travel in a sun boat to protect its fires from the primordial waters of the underworld it passed through during the night. The ancient Egyptians believed that as the sun god, Ra’s role was to sail across the heavens during the day in his boat called the “Barque of Millions of Years.” In the morning when Ra emerged from the east, his boat was named, “Madjet” which meant “becoming strong.” By the end of the day the boat was called, “Semektet” which meant “becoming weak.” At the end of the day, it was believed that Ra died (swallowed by Nut) and sailed on to the underworld, leaving the moon in his place to light up the world. The ancient texts describe how Ra would go down with the setting sun into the underworld and then rise again the next day on the opposite side. This also symbolizes the same journey that the deceased would take right after burial. The journey was divided into 12 hours, with each hour representing an obstacle that Ra had to complete in order to move onto the next. Each area has gods and monsters that Ra meets along the way. Throughout his journeys and adventures, the serpent-god Apep is his greatest enemy. Apep would hide below the horizon waiting to attack Ra, and they would fight many battles. 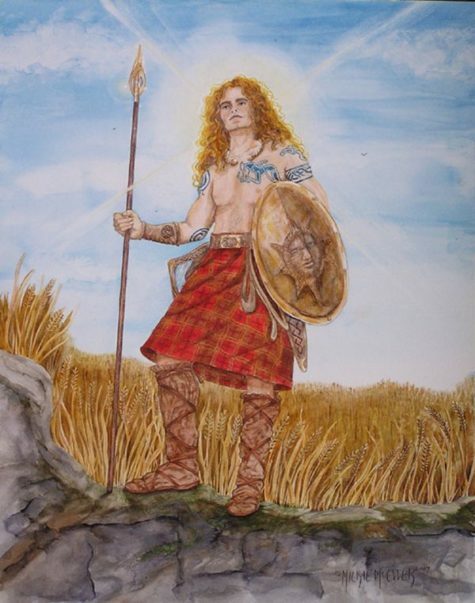 Many gods and goddesses were involved in defending Ra, including the god Seth. Ra was reborn at dawn the very next day. Ra traveled in the sun boat with various other deities including Set and Mehen who defended against the monsters of the underworld, and Ma’at who guided the boat’s course. The monsters included Apep, an enormous serpent, or also, The Lord of Chaos, who tried to stop the sun boat’s journey every night by consuming it. In some stories, Ra, in the form of a cat named Mau, defeats the evil serpent, Apep. This is part of the reason why cats are so highly-revered in Egypt. The Ra myth saw the sunrise as the rebirth of the sun by the goddess Nut and the sky, thus attributing the concept of rebirth and renewal to Ra and strengthening his role as a creator god. In the Pyramid Text, Re is perpetually resurrected in the mornings in the form of a scarab beetle, Khepri, which means the Emerging One. He rides on the primordial waters, called Nun, in his sacred bark (boat) along with a number of other deities across the sky. At noon he is the falcon-headed man Harakhty, and at sunset the elder Atum, the “All Lord.” He is then swallowed by the goddess Nut, who gives birth to him each morning again as Khepri. Therefore, the cycle continued with birth, life and death. This constant aging was suggested by some later Egyptians as the reason Ra stayed separate from the world and let Osiris or Horus rule in his place. Often coupled with this idea is the myth in which Isis is able to trick an elderly Ra, having ruled on earth as a human pharaoh, into revealing his secret name, and thus the secret of his power. Ra subsequently lost his power, resulting in the cult of Isis and Osiris to rise in importance. The Obelisk represents the rays of the sun and was worshiped as a home of a solar god. Other symbols include Pyramids aligned east to west, the Bull, Serpent, Heron, Lion, Cat, Ram, Hawk, Beetle, and others. His main symbol, however, is the sun disk. Ra is usually shown in his human form with a falcon head crowned with a sun disc. The famous sun disc was surrounded by a sacred cobra named Uraeus. In some artistic representations of the god, he is shown as “a man with the head of a beetle” or sometimes as “a man with the head of a ram”. Sometimes Ra is shown in animal form; most commonly, Ra is shown as a hawk, but sometimes also a beetle, lion, ram, or snake, as all of these were considered powerful animals in ancient Egypt. In iconography, Egyptians sometimes painted Ra as simply a large solar disk between two large falcon wings. Ra was incorporated into many aspects of Egyptian art, and he can be seen in paintings, sculptures, statues, and even jewelry. As with most widely worshiped Egyptian deities, Ra’s identity was often confused with others as different regional religions were merged in an attempt to unite the country. Amun was a member of the Ogdoad, representing creation energies with Amaunet, a very early patron of Thebes. He was believed to create via breath, and thus was identified with the wind rather than the sun. As the cults of Amun and Ra became increasingly popular in Upper and Lower Egypt respectively they were combined to create Amun-Ra, a solar creator god. The name Amun-Ra is reconstructed). It is hard to distinguish exactly when this combination happened, but references to Amun-Ra appeared in pyramid texts as early as the fifth dynasty. The most common belief is that Amun-Ra was invented as a new state deity by the (Theban) rulers of the New Kingdom to unite worshipers of Amun with the older cult of Ra around the eighteenth dynasty. Atum-Ra (or Ra-Atum) was another composite deity formed from two completely separate deities, however Ra shared more similarities with Atum than with Amun. Atum was more closely linked with the sun, and was also a creator god of the Ennead. Both Ra and Atum were regarded as the father of the deities and pharaohs, and were widely worshiped. 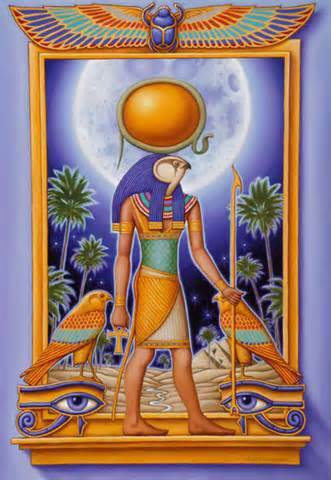 In older myths, Atum was the creator of Tefnut and Shu, and he was born from ocean Nun. In later Egyptian mythology, Ra-Horakhty was more of a title or manifestation than a composite deity. 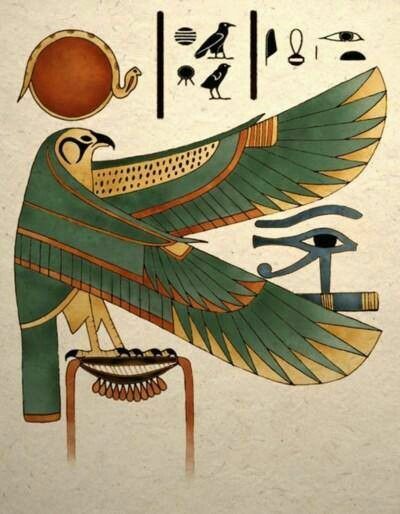 It translates as “Ra (who is) Horus of the Horizons”. It was intended to link Horakhty (as a sunrise-oriented aspect of Horus) to Ra. It has been suggested that Ra-Horakhty simply refers to the sun’s journey from horizon to horizon as Ra, or that it means to show Ra as a symbolic deity of hope and rebirth. Khepri was a scarab beetle who rolled up the sun in the mornings, and was sometimes seen as the morning manifestation of Ra. Similarly, the ram-headed god Khnum was also seen as the evening manifestation of Ra. The idea of different deities (or different aspects of Ra) ruling over different times of the day was fairly common, but variable. With Khepri and Khnum taking precedence over sunrise and sunset, Ra often was the representation of midday when the sun reached its peak at noon. Sometimes different aspects of Horus were used instead of Ra’s aspects. In Thelema’s Liber Resh vel Helios, Ra represents the rising sun, with Hathor as the midday sun and Tum as the setting sun. Ra rarely was combined with Ptah; the sun “crosses” over Ptah in the underworld before Ptah is reborn, thus there would be no sun-ray when this happens. Other combinations can and do exist: The rising sun with sun ray, the noon sun with sun ray, and sitting sun with sunray. But as per the Memphite creation myth he was often said to be Ptah’s first creation, through his divine will, especially when associated with Atum or Amun. Although Ra was highly revered and devoutly worshiped by the ancient Egyptians, there is a story to suggest he eventually grew weak. In the Legend of Ra, Isis and the Snake, the goddess Isis knew that Ra had a secret name. This secret name possessed immense power and would allow her to perform magic spells whenever she desired to. She knew that Ra wouldn’t willingly tell her the name so she quickly got to work. Ra had begun to age and sometimes saliva dribbled from his mouth. Isis visited with him one day. She collected the spit that dribbled down his chin and mixed it with dirt and clay. She shaped her mixture into a poisonous snake. She set the snake in Ra’s path, and when Ra was out for a walk, the snake bit him and he immediately felt the poison rushing through his body. He was in tremendous pain and asked the other gods to help him. Isis promised to help Ra but only if he would tell her his secret name. He was resistant at first, but eventually, because of the pain he was in, Ra allowed Isis to “search through him” and in so doing, she healed him and Ra’s power was transferred over to her. One myth tells us that Ra first came to power during the golden age. Everything was perfect and just as it should be. The earth had not been tainted in any way. The sight of such perfection moved Ra to tears and they fell to the earth. The tears grew into humans. At first, Ra was infatuated with watching humans interact and grow. But then he became angered with them as they ended the golden age that he had loved so much. They were cruel to each other and were ruining the earth. He summoned the goddess Hathor and transformed her into a savage lioness. He then sent her to earth to kill every human. 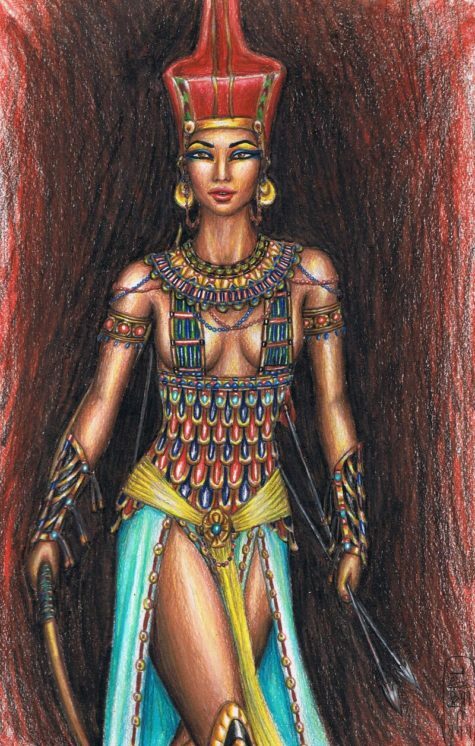 Hathor attacked every human she came across, killing most. But before she could eliminate all humans, Ra had a change of heart. He decided he needed to stop Hathor and did so by giving her enough beer to intoxicate her. She forgot her mission but the damage she had caused was permanent. Humans had been introduced to death and now all faced their immortality. The ancient Egyptians worshiped Ra to such an extent above other gods that some historians have argued that ancient Egyptian religion was indeed a monotheistic one with Ra as the singular god. Historians believe that the pyramids might represent rays of sunlight, further connecting the pharaohs with Ra, the sun god. During Ra’s journey through the heavens he was accompanied by several other gods including Thoth, Horus, Hathor, Maat, Abtu, and Anet. 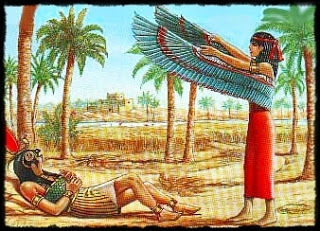 Nut, goddess of the sky and heavens, is sometimes referred to as Ra’s mother, because he emerges from her and is reborn every morning. The evening manifestation of Ra is known as the ram-headed god, Khnum. The sacred cobra that encircled Ra’s crown symbolized royalty, sovereignty and divine authority. The right eye of Ra represented the Sun; while the left eye of Ra represented the moon. Ra is also closely associated with the Tree of Life myth, the Ben-Ben Stone and the Bennu Bird myths. Ra’s glory came to an end during the time when the Roman’s conquered Egypt in 30BC. Ra did not have parents. He is considered to be self-created and there are many myths that suggest how this came to be. It is said that before there was any land or recognizable landscapes, there was a body of water called Nun. The water was powerful and a shining egg arose from the darkness. Inside this egg was Ra. Sun rays landed on his body and gave him the power of sunlight. He then created all other elements of life by speaking their secret names. He spent his days traveling across the sky on a boat, where he carried prayers and blessings for the living. At night, he would travel to the Underworld where Set and Mehen would help him defeat demons and monsters. He would leave the moon in the sky while traveling to the Underworld so that the living would still have light. It is said that he was reborn each day as the sun would rise over the horizon. Ra had several siblings, including Apep, Thoth, Sobek and Serket. Early in his myths Ra was said to be married to Hathor and they were the parents of Horus. Later his myths changed Hathor into Ra’s daughter. This featured prominently in the myth often called The Story of Sekhmet, in which Ra sent Hathor down to punish humanity as Sekhmet. The Middle Kingdom saw Ra being increasingly combined and affiliated with other deities, especially Amun and Osiris. Together with Atum, Ra was believed to have fathered Shu and Tefnut who in turn bore Geb and Nut. These in turn were the parents of Osiris, Isis, Set (also known as Seth), and Nephthys. All nine made up the Heliopolitan Ennead. The New Kingdom brought new heights of worship to Ra. Many tombs in the Valley of the Kings portray depictions of Ra and his journey through the underworld. During this time, many solar temples were built. 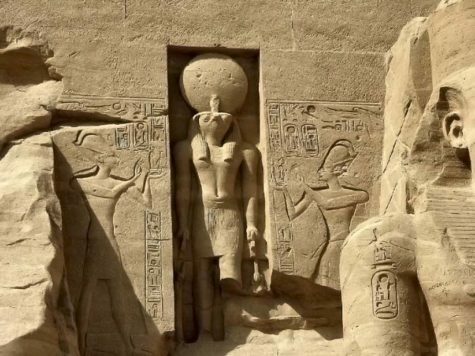 Solar temples were built for Ra but did not contain a statue of the god. 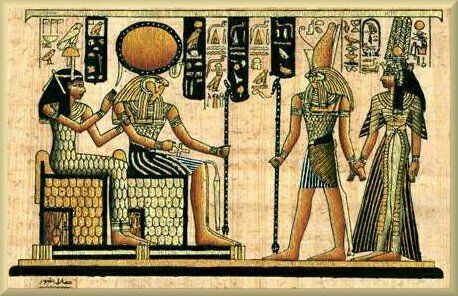 Instead, they were created to be open to the sunlight that Ra represented. The earliest known temple built in honor of Ra exists in Heliopolis meaning “City of the Sun” (now a Cairo suburb). This solar temple is known as “Benu-Phoenix” and is believed to have been erected in the exact spot where Ra emerged into creation. In later Egyptian dynastic times, Ra was merged with the god Horus, as Re-Horakhty (and many variant spellings). When his worship reached this position of importance in the Egyptian pantheon, he was believed to command the sky, the earth, and the underworld. His local cult began to grow from roughly the second dynasty, establishing Ra as a sun deity. By the fourth dynasty the pharaohs were seen to be Ra’s manifestations on earth. Fifth Dynasty and subsequent pharaohs were all known as “The son of Ra” and Ra became incorporated into every pharaoh’s name from then onward. His worship increased massively in the fifth dynasty, when he became a state deity and pharaohs had specially aligned pyramids, obelisks, and solar temples built in his honor. During the Middle Kingdom, the new deity, Amun-Ra was formed. Amun was one of the gods who formed the Ogdoad (the assembly of eight gods who represented eight elements of creation). It appears almost certain, that the Great Ennead – the nine deities of Atum, Geb, Isis, Nut, Osiris, Nephthys, Seth, Shu, and Tefnut – first appeared during the decline of Ra’s cult in the sixth dynasty, and that after introduction of the new pesedjet the cult of Ra soon saw a great resurgence until the worship of Horus gained prominence. Afterward worship focused on the syncretistic solar deity Ra-harakhty (Ra, who is Horus of the Two Horizons). During the Amarna Period of the eighteenth dynasty, Akhenaten introduced worship of another solar deity Aten. The deified solar disc represented his preferred regional deity as he attempted to lessen the influence of the temple of Atum. He built the Wetjes Aten (Elevating the Sun-disca) temple in Annu. Blocks from this temple later were used to build walls to the medieval city of Cairo and are included in some of the city gates. The cult of the Mnevis bull, an embodiment of Ra, had its centre here and established a formal burial ground for the sacrificed bulls north of the city. In the later myths Ra was seen to have created Sekhmet, the early lioness war goddess who becomes Hathor, the cow goddess after she has sufficiently punished mankind as an avenging Eye of Ra. Although not the contemporary view, E. A. Wallis Budge (1857-1934) claims that Ra was the one god of Egyptian monotheism, of which all other deities were aspects, manifestations, phases, or forms. During the New Kingdom, the worship of Ra became more complicated and grand. The walls of tombs were dedicated to extremely detailed texts that told of Ra’s journey through the underworld. 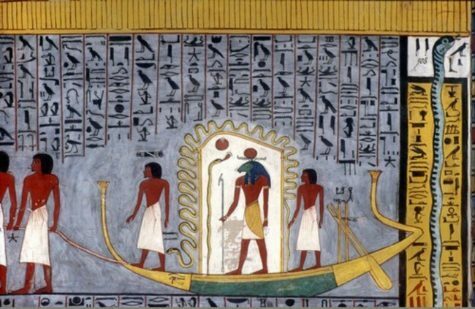 Ra was said to carry the prayers and blessings of the living with the souls of the dead on the sun boat. Many acts of worship included hymns, prayers, and spells to help Ra and the sun boat overcome Apep. Though worship of Ra was widespread, his cult center was in Heliopolis in Lower Egypt. Oddly enough, this was the home of the Ennead that was believed to be headed by Atum, with whom he was merged. The Holiday of ‘The Receiving of Ra’ was celebrated on May 26 in the Gregorian calendar. Though Ra lived on in various forms into the Greco-Roman period, his worship gradually deteriorated during the fist millennium. This decline was probably due to the weakening of the kingship under various foreign rulers. Though he continued to be a part of Egyptian theology, he was no longer a part of the peoples living faith. Devotion to Ra became more and more limited to priests of the temple. The rise of Christianity in the Roman empire caused an end to worship of Ra by the citizens of Egypt, and as Ra’s the popularity suddenly died out, the study of Ra became purely for academic knowledge even among the Egyptian priests. to lift the veil that covers me. Mother of the Gods, goddess of war and the hunt, she is goddess of the lower heavens, a warrior goddess and protectress. Her name means “I have come from myself,” or self-begotten. Eternal goddess, universal mother; the Spirit behind the Veil of Mysteries; World Body; Primal Abyss. Her cult was a very ancient one with two queens of the First Dynasty named after her. Often shown along side Selqet as mummy guardian and protectress of marriage. She wore the red crown of Lower Egypt. 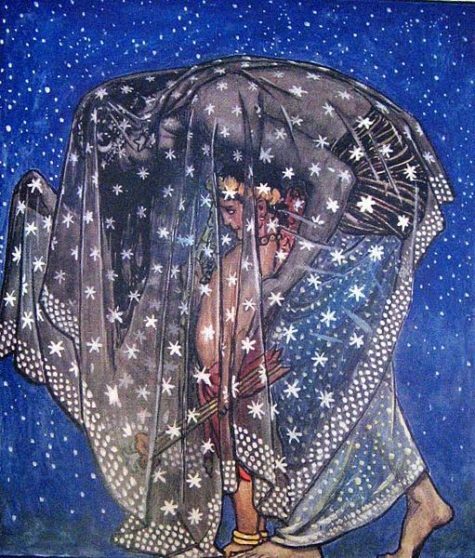 In her hands she held a bow and two arrows. Her ceremonies were of a mystic nature. Neith was worshiped with Mysteries and lantern processions. In December (on or around December 8th), a great festival, called the Feast of Lamps, was held annually in her honor and, according to Herodotus, her devotees burned a multitude of lights in the open air all night during the celebration. 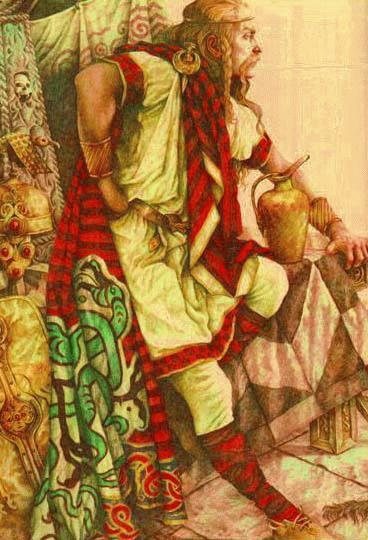 She is the patroness of domestic arts, weaving, hunting, medicine, war, and weapons. Turn to her when working with herbs, magick, healing, mystical knowledge, rituals, and meditation. She is the protectress of women and marriage. She may be venerated independently or together with her son, Sobek. The Greeks identified her with Athena, also identified as originating in Libya. Many consider Athena to be a Greek path of Neith or at least a very closely related spirit. Neith appears as an androgynous woman. She wears the red crown of Lower Egypt. She sometimes appears in the guise of a golden cobra, as well. In Iconography, she is customarily depicted with a green face and hands. Neith is portrayed suckling a crocodile at each breast. The main imagery of Neith was as the deity of the unseen and limitless sky, as opposed to Nut and Hathor, who respectively represented the manifested night and day skies. Her epithet as the “Opener of the Sun’s Paths in all her stations” refers to how the sun is reborn (due to seasonal changes) at various points in the sky, under her control of all beyond the visible world, of which only a glimpse is revealed prior to dawn and after sunset. It is at these changing points that Neith reigns as a form of sky goddess, where the sun rises and sets daily, or at its ‘first appearance’ to the sky above and below. It is at these points, beyond the sky that is seen, that her true power as the deity who creates life is manifested. Manifestation: Sekhmet manifests as a woman with a lion’s head or as a lioness. Sekmet, lioness goddess, epitomizes the blazing, scorching power of the sun. She is the goddess of war, justice, destruction, and healing. Her name may derive from a root word meaning “to be strong, powerful, mighty, or violent.” Sekhmet is among the fiery manifestations of the Eye of Ra. She is a fierce guardian goddess of Upper Egypt. Her hot breath created the desert. Sekhmet was associated with plagues and pestilential diseases; illnesses that blew in on the desert winds. Sensational descriptions of Sekhmet tend to emphasize her destructive aspects, but she was also among Egypt’s most significant healing deities and remains an active healer today. 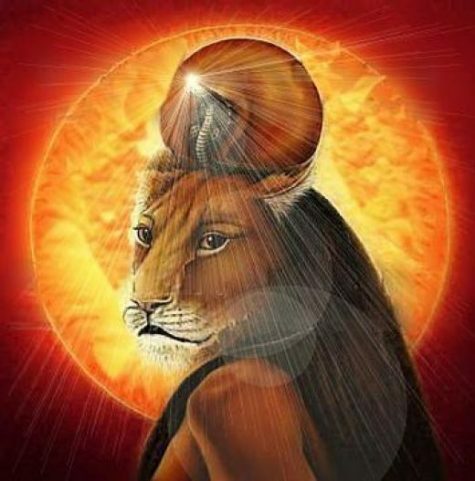 Sekhmet was represented by the searing heat of the mid-day sun (in this aspect she was sometimes called “Nesert“, the flame) and was a terrifying goddess. However, for her friends she could avert plague and cure disease. 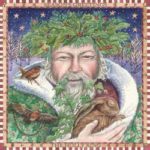 She was the patron of Physicians, and Healers and her priests became known as skilled doctors. As a result, the fearsome deity sometimes called the “lady of terror” was also known as “lady of life“. Sekhmet was mentioned a number of times in the spells of The Book of the Dead as both a creative and destructive force, but above all, she is the protector of Ma´at (balance or justice) named “The One Who Loves Ma´at and Who Detests Evil“. Most spirits must be asked before they will openly intervene in someone’s life. (It’s possible that many perform acts of rescue anonymously). Sekhmet appears when invoked. She is also renowned for appearing in dreams and visions in order to perform successful healings even when no one summoned her, at least not consciously. Instead, Sekhmet recognized a need and personally took the initiative. If Sekhmet heals you without first being asked, offerings are in order. Sometimes this is a one time favor but it may also be her way of extending matronage. If you wish to accept her offer, then create an altar or make some other gesture of acknowledgement. Sekhmet heals all illnesses except those of the eyes. She is associated with blood ailments. She has dominion over the menstrual cycle and women’s reproductive systems. Sekhmet should not be bothered for trifles, but she is an intensely powerful and proactive healer. She is the matron goddess of reiki.